If you’re feeling bluesy, cold, and lethargic and have gained weight recently despite not seeming to eat much, you may have an underactive thyroid. Here we dive into the causes, assessment, and treatment of this common endocrine disorder. Uunderactive thyroid symptoms include decreased appetite, aching or weak muscles, joint pain, blurred vision, and other ailments. Underactive thyroid or hypothyroidism is a common endocrine disorder, characterized by low levels of thyroid hormones. According to The American Thyroid Association (ATA), more than 12 percent of the U.S. population will develop a thyroid condition during their lifetime. Hypothyroidism is like driving a car with the brake on: Your physical and mental abilities slow. It has several distinct causes. Thankfully, in most cases it is treatable with thyroid hormone supplementation. But first, it’s important to be able to recognize underactive thyroid symptoms. The thyroid gland sits in front of your Adam’s apple, in the front of the neck. It produces two hormones that are essential to good health, T4 (thyroxine) and T3. These are produced due to a cascade effect of the thyrotrophin releasing hormone (TRH) being produced by the hypothalamus, sparking TSH (thyroid stimulating hormone) to be produced by the pituitary gland. Thyroid hormones influence all systems in the body and impact metabolism, growth, and development and temperature regulation. They are particularly important in the development of a child’s brain. In newborns, congenital hypothyroidism occurs in 1 in 4,000 newborns and is due to abnormal development of the thyroid. All newborns in the United States are screened for this condition; failure to treat can lead to abnormal growth and brain development and severe mental retardation. It is usually caused by an iodine deficiency in the mother. 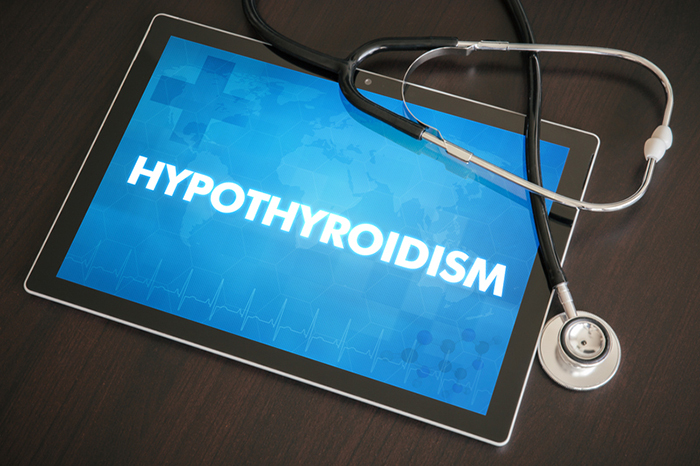 As for adults, The National Health and Nutrition Examination Survey (2002) found that 4.3 percent of the U.S. population had subclinical hypothyroidism (no symptoms yet) and 0.3 percent had clinical hypothyroidism. Iodine deficiency or excess. Iodine is essential for production of thyroxine. Low levels are caused by a diet deficient in iodine. High levels of iodine can be due to radiocontrast dyes, the heart drug amiodarone, herbal and dietary supplements, and seaweed. Iodine is found in iodized table salt, eggs, dairy products, shellfish, and saltwater fish. Autoimmune disease. In autoimmune thyroiditis, the body attacks the thyroid gland. In some cases it is thought to be sparked by a viral infection. The most common type is Hashimoto thyroiditis. Pregnancy. Hypothyroidism in pregnancy is harmful to the mother and fetus, but most women are screened, allowing treatment of the condition. Postpartum thyroiditis occurs in 10 percent of women (25 percent in diabetics) following delivery. Medically induced (iatrogenic) hypothyroidism. Surgery on the thyroid, especially a thyroidectomy (removal of all or part of the thyroid), can cause varying levels of thyroid dysfunction. Radioactive iodine (used to treat overactive thyroid) and radiation therapy for cancer in the neck can also cause hypothyroidism. A whole host of drugs can cause hypothyroidism from lithium for bipolar disorder, through to amiodarone for heart arrhythmias. Sub-acute granulomatous thyroiditis. Alson called de Quervain disease, sub-acute granulomatous thyroiditis is an uncommon and often self-limiting disease in middle-aged women. Genetics. Several genes are implicated in increasing the risk of underactive thyroid, such as FOXE1, TPO, TSHR, and PAX8. Central hypothyroidism. Also known as secondary or tertiary hypothyroidism, this is rare and caused by damage to the pituitary gland or hypothalamus, within the brain. Gender. Hypothyroidism is two to eight times more common in women. It is more common in women who were small at birth and during childhood and in the postpartum period. Iodine deficiency. A diet low in iodine is a risk factor mainly in underdeveloped countries. Age. The frequency increases with age. Race. The prevalence of hypothyroidism is highest in Caucasians and least common in African Americans. Myxedema is a severe form of hypothyroidism that can lead to a life-threatening crisis known as myxedema coma, which results in unconsciousness and multi-organ failure. Complete blood count and metabolic profile to check for anemia and abnormalities in blood chemistry. Your clinician may also order an EKG to check for irregularities in your heart rhythm. 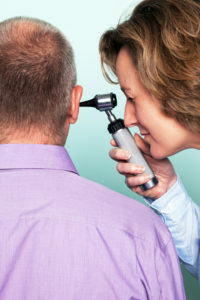 See our post “How to Find a Thyroid Doctor or Endocrinologist” for advice on locating a specialist. Treatment for underactive thyroid symptoms is essential as disease progression can lead to gradual worsening of symptoms and metabolic disturbance, through to coma or even death. In children, untreated hypothyroidism is devastating, causing irreversible mental retardation. anemia, appetite, bipolar disorder, blood pressure, brain, cancer, chest pain, children, dairy, depression, diabetics, diet, dietary supplements, dry skin, Forgetfulness, good health, health, health and nutrition, high blood pressure, hormone, hyperthyroidism, hypothyroidism, infection, iodine, iodine deficiency, joint pain, low energy, menstrual cycle, metabolism, nervousness, nutrition, pain, radiation, radiation therapy, radiation therapy for cancer, skin, sleep, supplements, symptoms of thyroid issues, thyroid, thyroid doctor, thyroid hormone, tiredness, underactive thyroid, underactive thyroid symptoms, unexpected symptoms of thyroid issues include high blood pressure, viral infection, weight gain.